Dr. Menderes is Fellow, Division of Gynecologic Oncology, Department of Obstetrics, Gynecology, and Reproductive Sciences at Yale University School of Medicine, New Haven, Connecticut. Dr. Schwab is Fellow, Division of Gynecologic Oncology, Department of Obstetrics, Gynecology, and Reproductive Sciences at Yale University School of Medicine. Dr. Black is a Fellow, Division of Gynecologic Oncology, Department of Obstetrics, Gynecology, and Reproductive Sciences at Yale University School of Medicine. Dr. Azodi is Professor, Division of Gynecologic Oncology, Department of Obstetrics, Gynecology, and Reproductive Sciences at Yale University School of Medicine. Brought to you by the Society of Gynecologic Surgeons. A 34-year-old patient with stage 1B1 squamous cell carcinoma of the cervix underwent sentinel lymph node dissection prior to hysterectomy. An ultrashort injection protocol of methylene blue into the cervix was used to identify sentinel lymph nodes. 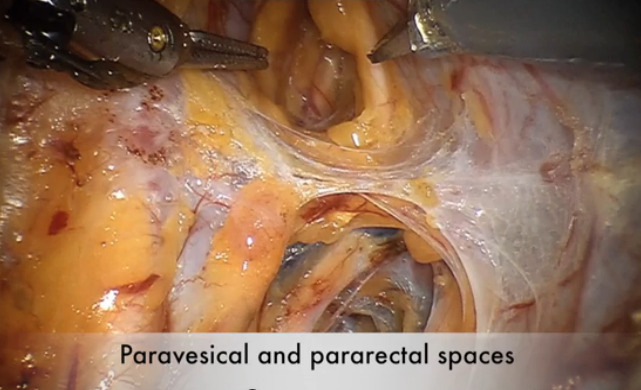 In this video, the authors illustrate a dissection technique of the right and left pelvic and para-aortic lymph nodes.